As Orange County prepares residents and visitors for hurricane season, it is important to make sure emergency kits are stocked with the necessary items recommended by the Federal Emergency Management Agency (FEMA). Most of the items are inexpensive and easy to find could help save a life. FEMA provides a printable list to take shopping when purchasing supplies for an emergency kit. Be sure to also consider what unique needs additional family members might have, such as supplies for pets and seniors. 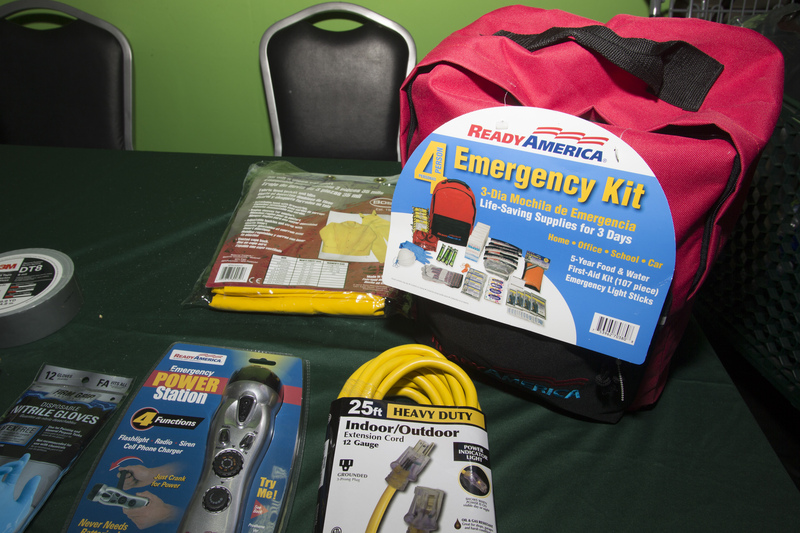 An emergency supply kit is a collection of basic items you and your family may need in the event of an emergency. Being prepared means having food, water and other supplies to last you and your family for at least 72 hours. Food – At least a three-day supply of non-perishable food. Battery- Powered or hand crank radio and a NOAA Weather Radio with tone alert. A dust mask to help filter contaminated air and plastic sheeting and duct tape to shelter-in-place. Wipes, garbage bags and plastic ties for personal sanitation. Cell phones with chargers and backup batteries. Non-prescription medications such as pain relievers, anti-diarrhea medication, antacids or laxatives and a few days of prescription medications. Important family documents such as copies of insurance policies, identification and bank account records saved electronically or in a waterproof, portable container. Household chlorine bleach and medicine dropper to disinfect water. Complete change of clothing appropriate for your climate and sturdy shoes. Infant formula, bottles, diapers, wipes, diaper rash cream. Sleeping bags and warm blankets for each person. Glasses and contact lens case and solution. For more information on emergency information from Orange County Government and how to prepare for a hurricane, visit www.ocfl.net/storm. Photo Caption: Orange County encourages residents to prepare emergency kits stocked with the necessary items recommended by the Federal Emergency Management Agency.